A visit to the dentist is getting more and more expensive, which is why it makes sense to get dental insurance to ensure you are prepared for the worst case scenario. 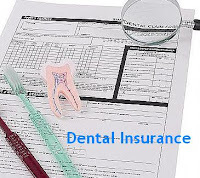 However, dental insurance – as with most types of insurance – can be confusing if you haven’t used it before, and the multiple plans and covers available can make picking an insurance package intimidating. There are three main plans and insurance schemes available in the UK; they are maintenance plans, dental care insurance and employee’s dental insurance. There are also an increasing number of cosmetic dental insurance policies available specific to different types of cosmetic dental treatment, such as dental implants and teeth whitening. A maintenance plan is an agreement solely between you and one dentist or dental surgery, usually one in close proximity to where you live. You pay an agreed amount per month. Plans can vary but in most cases the more you pay the more you get. A basic plan may cover check-ups, while a more expensive plan is likely to cover a broader range of care. Generally, a maintenance plan will cover standard dental care such as x-rays, fillings, etc. While this type of plan is good for those who are confident of their dental health, it does not cover cosmetic dentistry and many will not cover accidents or emergencies. However, in some cases, extra dental insurance cover can be bought to cover this. Dental insurance is similar to a maintenance plan but can be more flexible, especially in terms of which dentist you visit. Dental care insurance usually covers treatment from either private or NHS dentists, but doesn’t apply to one single dentist as the maintenance plan does. Again, the more you pay the more you get and the same basic check-up care is available as with the maintenance plan. Dental care insurance can often cover families rather than just an individual, but this should be discussed with your specific insurer. This form of insurance is useful for insuring a number of family members on one plan, but will often only pay a limited amount before extra is to be paid to your dentist in the event of a costly procedure. The last insurance type is common among large businesses, where they offer the same cover as you would expect in an individual maintenance plan or dental care insurance plan. The variety of cover is vast and, while some will be organised and paid for by the business in question, others may be paid solely by the employee or partially by both. Depending on the price it can cover the basics of a check-up up to major emergency work, but most will not cover cosmetic dentistry or non-work based accidents, unless a dental protection device was being worn, such as a mouth guard. While this plan is attractive to many it can be frustrating to be constricted by a plan that has not been made according to your individual needs. Of course, those plans that are paid solely by the employee will give you more say on what is on the plan.